A long-awaited ferry service has been launched for people in Alderney. Island-based Alderney Shipping has set up sea links to Guernsey and the UK after transporting numerous locals who had become stranded on the mainland as a result of the volcanic ash cloud. Bruno Kay-Mouat, Alderney Shipping's managing director, said the service would begin immediately. "We've been thinking about taking passengers for a while. Various people have asked us to look at it, including the States, Chamber of Commerce and numerous islanders. It has also been reported recently that the flights were full over Easter while most hotels were empty, so clearly there's a market. "The volcano has meant we have carried lots of people recently, all free of charge, and that brought it to the forefront of our minds. As a result we've decided to begin a seasonal service between April and September. We are ready to take passengers now." Mr Kay-Mouat went on to outline the cost and timetable. "An inter-island one-way fare will be £25, while a return will be £40. A trip to the UK will cost £65, while a return fare will be £110. "The boat will sail from Poole to Alderney on Monday afternoons, with the return journey taking place on Wednesday afternoons. Passengers will be able to travel to Guernsey on Tuesdays and return the following day. A dozen people will be able to travel on each sailing." Passengers will set sail on Isis - a cargo carrier which until recently operated on Alderney Shipping's Netherlands freight link. Mr Kay-Mouat said: "We've swapped the Isis and Burhou around, as the Isis is approved for passengers. The Isis was previously used on our Rotterdam route, while Burhou operated between the islands and the UK." Mr Kay-Mouat went on to say the Isis is not a luxury vessel designed to take passengers. "The Isis is a freight ship - it's not a cruise liner. This is about getting people on and off Alderney and supporting businesses at the same time." John Beaman, the States member responsible for tourism, said: "This is excellent news for Alderney. Any additional transport links are always welcome. 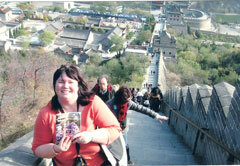 It is to be hoped this helps more people get here in order to boost the tourism industry. 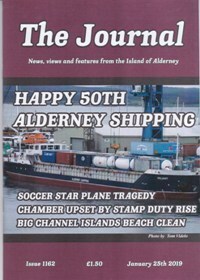 "I wish Alderney Shipping all the very best. Hopefully this turns out to be a great success." Andrew Eggleston, president of Alderney Chamber of Commerce, said: "Any other form of communication to get on and off the island has to be looked on favourably. "The Chamber is totally behind this - especially given the lack of planes and the fact the airlines seem reluctant to put on extra flights. Another form of transport has to be good news."